Originally Coimbatore district formed part of the Kongu country, the history of which dates back to the Sangam age. It is found that in early days the area was inhabited by the tribes, the most predominant among them being the Kosars who are reported to have had their headquaeters at Kosampathur which probably later became the present Coimbatore. However, tribal predominance did not last long as they were over-run by the Rashtra Kutas. From Rastrakutas the Region fell in to the hands of the cholas who were in prominence at the time of Raja Raja Chola. On the decline of Cholas the Kongun territory was occupied by the Chalukyas and then by the Pandyas and the cysalas. Due to internal strife in the Pandyas Kingdom the Muslim rulers from Delhi happened to interfere. Thus the area fell into the hands of Madurai Sultanate from whom the Vijayanagar rulers wrestled for the region during 1377-78 after overthrowing the Madurai Nayaks.During the period of Muthu Veerappa Nayak and later during the period of Tirumal Nayak internal strife and intermittent wars ruined the kingdom. As a consequence during the period of Tirumal Nayak,the Kongu region fell into the hands of the Mysore rulers from whom hyder Ali took over the area. However, consequents on the fall of Tippu Sultan of Mysore in 1799, the Kongu region came to be ceded to the East India Company by the Maharaja of mysore who was restored to power by the East India Company after defeating Tippu Sultan. From then till 1947 when India attained Independence, the region remained under British control who initiated systematic revenue administration. In 1840, the areas were merged into one and brought under one District Collector. During the time, Mr.H.S. GREAME, [I/C] from 20/10/1803 to 20/01/1805 was the Collector. In 1868, the Nilgiris District was bifurcated from the Coimbatore District. At the opening of the present century there were ten taluks in the district viz., Bhavani, Coimbatore, Dharapuram, Erode, Karur, Kollegal, Palladam, Pollachi, Sathyamangalam and Udumalaipettai. The name of Sathyamangalam taluk was subsequently changed as Gopichettipalaiyam. Avinashi taluk was formed in the year Karur taluk happened to be transferred to Tiruchirappalli district. In 1927, some villages of Bhavani taluk together with a few village from Salem district were constituted into Mettur Area but very soon i.e, in 1929, this area was transferred to Salem district. Again in the year 1956 considerable area of the district, viz., the whole of Kollegal taluk was transferred to Mysore State as part of the States Re-organisation Scheme. In 1975, Sathyamangalam sub-taluk was upgraded as a full fledged taluk. Again in 1979, Perundurai sub-taluk of Erode and Mettupalayam sub-taluk of Avanashi were also upgraded into independent taluks.Thus the total number of taluks in the district came to twelve. This, however, did not last long. In the same year (1979) six taluks were bifurcated from the district to constitute a new district viz, Erode. Under G.O. Ms. No. 1917 Revenue dt. 31-8-79, the following six taluks were bifurcated from then Coimbatore district to from Erode district. Bhavani, Gopichettipalayam, Sathyamangalam, Erode, Perundurai and Dharapuram. This bifurcation considerably reduced the size of the district. It has only nine taluks now, viz. 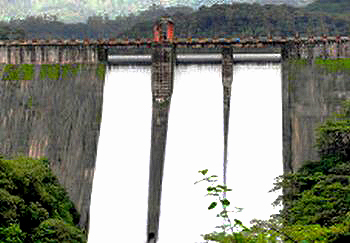 Pollachi, Coimbatore (North), Avanashi, Palladam, Udumalpettai, Tirupur, Valparai, Coimbatore (South) and Mettupalayam. Coimbatore is the third largest city in Tamilnadu, with a population of more than 15 lakhs. There are more than 30,000 tiny small, medium and large industries and textile mills. The city is known for its entrepreneurship of its residents. The Climate is comfortable round the year. The city is situated on the banks of the river Noyyal. Coimbatore existed even prior to the 2nd Century AD as a small tribal village capital called Kongunad until it was brought under Chola control in the 2nd or 3rd Century AD by Karikalan, the first of the early Cholas. When Kongunad fell to the British along with the reset of the state, its name was changed to Coimbatore and it is by this name that is known today, except in Tamil, in which it is called Kovai. The rich black soil of the region has contributed to Coimbatore’s flourishing agriculture industry and, it is in fact, the successful growth of cotton has served as a foundation for the establishment of its famous textile industry. There are more than 25,000 small, medium, large scale industries and textile mills. Coimbatore is also famous for the manufacture of motor pump sets and varied engineering goods, due to which it has earned the title “Detroit of the South”. The Development of Hydroelectricity from the Pykara falls in the 1930s led to a cotton boom in Coimbatore. The result has been a strong economy and a reputation as one of the greatest industrial cities in South India. According to ancient manuscripts, Coimbatore’s history can be traced to the Irula tribal chief Kovan and his clan who were it’s earliest settlers and the founders of “Kovanpatti” a part of Kongunadu. Years later, the surrounding forests were cleared, and the founder of “Kovanpatti” a part of kongunadu. Years later, the surrounding forests were cleared, and a new village was formed called “Kovanputhur”, which over the years came to be known as “Coimbatore”. In spite of it’s prominence as a busting industrial city, Coimbatore still remains one of the most pollution free cities in India. Covering an area of 23.5 square Kilometers, the city houses some of the biggest names in Indian Industry. The major industries include textiles, textile machinery, automobile spares,motors, electronics, steel and aluminium foundries. Tirupur – a neighbouring town has carves a niche for itself in the garments market. Agriculture however remains the major occupation. The rich fertile soil and tropical climate is excellent for the growth of millet, paddy, cotton, tea, oil seeds and tobacco. The city is also known for it’s educational institutions. Coimbatore Agricultural University is renowned as one of the best colleges of it’s industrial and technological growth, traditions and age old customs are still held in high esteem. The temples bear witness to the religiousness and love of art and architecture of the people. There are also a number of places of tourist intrest around Coimbatore. Ootacamund (ooty for short), is one of the most popular tourist spots in India.